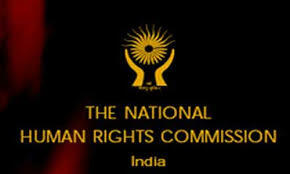 The National Human Rights Commission, NHRC has taken suo motu cognizance of a media report that six new born babies died at Saharsa Hospital in Bihar due to delay in providing oxygen and essential medicines on the 8th November, 2015. Reportedly, all the six children were born the previous night but no proper arrangements were made for their care in the hospital. The Commission has observed that the contents of the press report, if true, raise a serious issue of violation of human rights of the new born children. Accordingly, it has issued a notice to the Principal Secretary, Department of Health, Government of Bihar calling for a report within two weeks. Allegedly, the hospital administration charged rupees two hundred each from the family members for burying the children, but instead of doing so, the bodies of the children were thrown in the pits and bushes.